Museum owner and founder Steve Shirley (left) and his team of 35 volunteers are taking down the displays and are searching for storage and a new home for the museum. Britain’s only MOD fire services museum, based at RAF Scampton, has been closed down due to space being required for the 2017 Scampton Airshow. 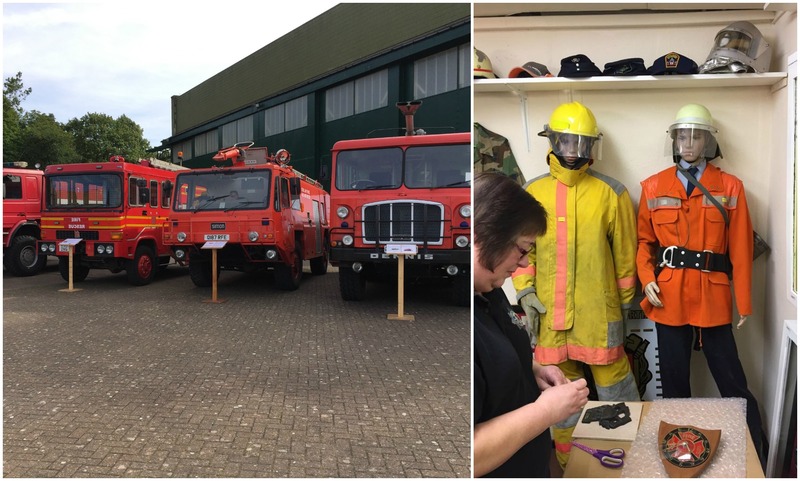 A team of 35 volunteers at the Museum of RAF Firefighting at Scampton, have been running the attraction for 14 years on authorised temporary use (known as an MOD encroachment), housing decades of memorabilia and 47 fire engines. They have until January 3 to vacate the annex of Hangar 2 and are looking for a new home for the popular visitor attraction, as the space is required by airshow organisers. Items currently on display are in the process of being dismantled, catalogued, packed and placed in storage provided by the RAF base, awaiting possible relocation. The collection is being packed up and moved into storage on the base. 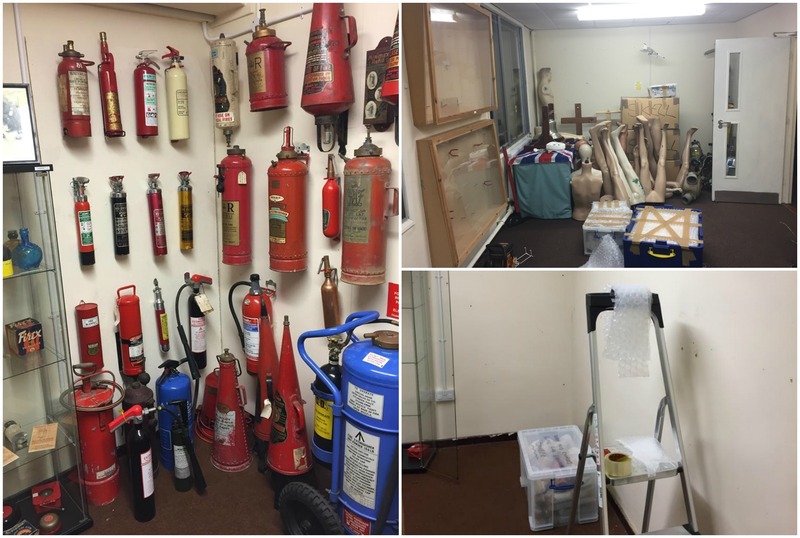 Steve Shirley, founder of the museum, said in a statement on the Museum of Firefighting website: “It is with much regret that the Museum of RAF Firefighting located at RAF Scampton has been closed down until further notice. “This is due to the MOD’s requirement at RAF Scampton to use the former offices within the Annex of Hangar 2 for the Scampton Airshow 2017 project. He added that the museum, which is currently ranked as 10th on TripAdvisor out of 71 things to do in Lincoln, had grown in popularity over the last four and a half years. “The museum is very grateful to successive Station Commanders for allowing us to have a presence at RAF Scampton for the last 14 years. “Please understand that the decision to close the museum has not been taken lightly. We were always aware that we were guests of RAF Scampton and as such, service needs must always take priority. “Please avoid doing anything that could affect the relationship that we have built with RAF Scampton by entering into any form of negative comment towards the station executives and the RAF/MOD as a whole. As reported previously, the first Scampton Airshow was confirmed for September 9 and 10, 2017, with tickets now on sale for the highly anticipated event. The show will replace the former Waddington Airshow, which was discontinued. The 2017 Scampton Airshow organisers and RAF Scampton were contacted by The Lincolnite, but did not wish to comment. The museum initially occupied two sites, one in Kent and the main collection on RAF Scampton. Scampton, also home to the famous Red Arrows, became the sole collection site in 2014. Displays, including a collection of 47 fire engines, told the story of firefighting 1922 to present day, encompassing also the story of the RAF, the Scampton base and the Red Arrows. Despite running on an appointment-only basis, the museum welcomed around 2,500 visitors every year and was often ranked among the most popular attractions in Lincoln. Volunteers hope a new home can be found for the collection. Steve told The Lincolnite the first job is to find a secure storage space for memorabilia, currently boxed up at Scampton. He added also that long-term solutions could mean co-locaing with another organisation, or registering the collection as a charitable trust in order to access funding. “The dream will continue. Watch this space, but above all, please continue to support us”, he added. The museum phoneline, website and all other social media will continue to function, with the hope the attraction will continue to be a viable asset for relocation/re-establishment.